We're Going To The Eurogamer Expo! 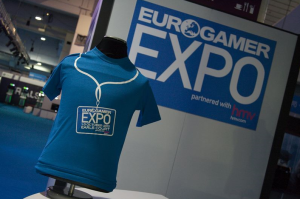 We're off to the Eurogamer Expo in September! Yesterday, we got confirmation that Only Pro Evolutions will receive press passes for the four-day event (22-25 September) in Earl's Court, London. Of course, we are incredibly excited about being given such an opportunity. And we'd like to take this opportunity to thank the good people at Eurogamer for accepting our press pass application. Like we told you last week, we'll be playing an early code of PES 2012 in July. But now, we'll also be able to play a near-final code at the Eurogamer Expo in September just weeks away from the (expected) official release date! If you would like to attend the event, you can purchase tickets now by clicking here.